Over sixty international organizations wrote the Guatemalan Attorney General this week expressing deep sadness and concern following the brutal murder of Ángel Estuardo Quevedo on July 12, 2018, an active a member of the Peaceful Resistance movement of Santa Rosa, Jalapa and Jutiapa against Tahoe Resources' Escobal project in southeastern Guatemala. We are writing to express our profound sadness and concern at the killing of human rights defender Ángel Estuardo Quevedo in the municipality of Santa Rosa de Lima on July 12, 2018. Estuardo resided in the municipality of Casillas and was a member of the Peaceful Resistance movement of Santa Rosa, Jalapa and Jutiapa. He played an important role in making visible broad community opposition to the Escobal silver mine, a Canadian mining investment project, owned by Tahoe Resources. Estuardo and his fellow human rights defenders have worked tirelessly and at great personal risk to raise awareness about the ways in which Tahoe and its subsidiary Minera San Rafael have violated their human rights. 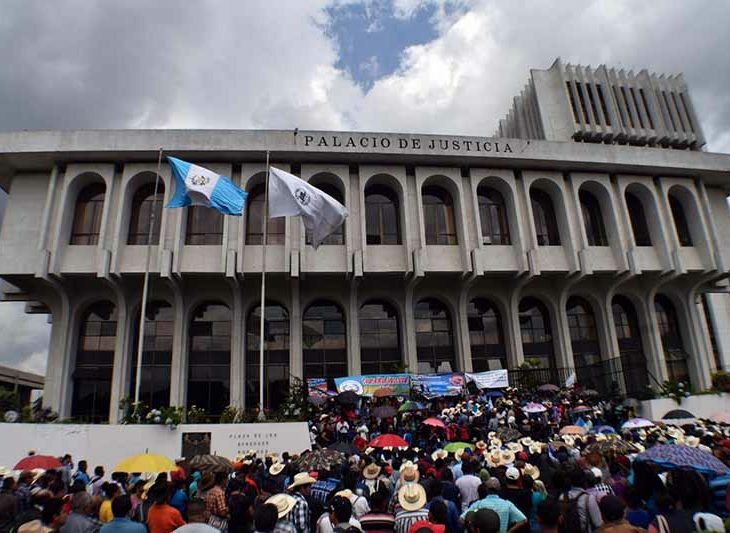 Before his death, Estuardo spent considerable time in Guatemala City at the peaceful resistance camp set up outside the Constitutional Court to inform the public about the violations of Indigenous rights committed by Tahoe and Minera San Rafael. He was awaiting a crucial Constitutional Court ruling about the future of the Escobal mine when he was killed. Estuardo lived and died as a courageous human rights defender and was part of a community still facing terrible risks to stand up for their rights. We lament the fact that the State of Guatemala did not protect Estuardo, who had received threats in the days leading up to his murder. He sadly joins a growing list of human rights defenders killed in Guatemala since the beginning of 2018 for standing up to protect land, water and the environment. We call on you to thoroughly, impartially and promptly investigate his murder. As outlined in the newly adopted General Instruction to investigate crimes against human rights defenders , your investigation should include the theory that the attack was in retaliation for his legitimate human rights defence work. Arrest and bring to justice those responsible for his killing. We also urge you to take appropriate measures, in accordance with the group’s wishes, to guarantee the safety of other members of the peaceful resistance movement of Santa Rosa, Jalapa and Jutiapa, who are facing increasing surveillance, intimidation and threats. Doing so will send a strong signal that the Guatemalan state recognizes the important and legitimate work of human rights defenders and could prevent further attacks. As civil society organisations across Canada and the United States, we again raise our voices together to call on the Government of Guatemala to comply with its international obligations to protect human rights defenders and to take decisive action to prevent further violence against peaceful protesters.